Crisis-torn Nicaragua must hold elections to return the country to democracy after four months of protests against President Daniel Ortega's rule, the head of the Organization of American States said Sunday. 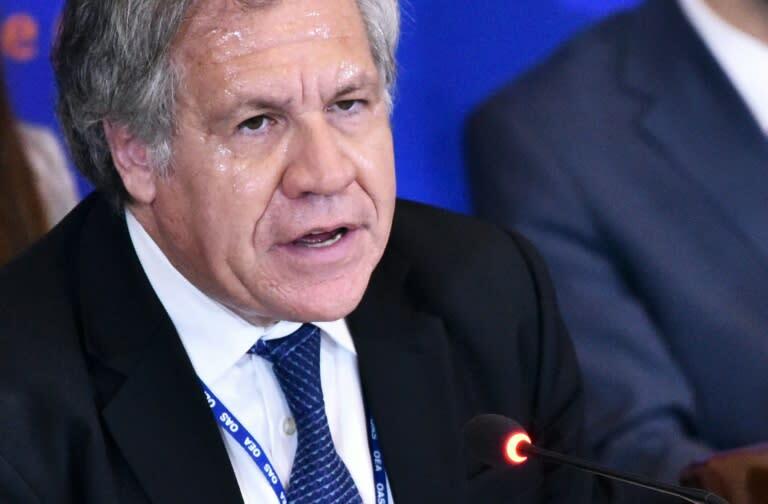 OAS secretary general Luis Almagro said the Central American country -- where over 300 have died in the unrest, according to rights groups -- "needs to be re-institutionalized, re-democratized." "Nicaragua needs elections," he told Chile's El Mercurio newspaper. "Nicaragua is today a victim of violence, repression and assassinations, the consequences of which have been absolutely disastrous for the country." Almagro added that he would continue to support dialogue between Ortega's Sandinista government and the opposition. "It is a question of political will and we will continue insisting on returning to dialogue through all possible means," he said. Ortega, a 72-year-old former guerrilla who has been in power for the last 11 years, has refused to step down and instead cracked down on opponents to try to extinguish protests that have rocked the Nicaragua since mid-April. Violence by police and armed paramilitaries have contributed to the death toll -- and the UN says some 23,000 people have sought asylum in neighboring Costa Rica. Asked about the Venezuelan crisis, meanwhile, Almagro stressed the need to maintain "international pressure" on the Maduro government and "increase sanctions". The OAS chief expressed reservations over the alleged attack orchestrated against Maduro on August 4. Almagro said the incident "leaves many questions, especially the lack of credibility of the Maduro regime." "In any case, the OAS general secretariat will always condemn the use of violence as a political tool," he added. "We hope that the facts are not used as an excuse to trample even more on the rights of Venezuelans, to increase the number of political prisoners or to harass the members of the opposition."